We knew GoPro was struggling as it announced it would lay off some employees in the drone division. But the news has turned worse for the company after it announced Q4 2017 results. It shows a “negative impact” of $80 million mostly on account of price reductions on the HERO6 Black, HERO5 Black and HERO5 Session cameras, as well as the Karma drone. Now, in an attempt to get its accounts in order and reduce operating expenses significantly this year, the company says it is cutting around 300 jobs and exiting the low-yield drone business once existing Karma stock is cleared. While GoPro had around 1,254 employees on its payrolls as of September 30th, the number will go down to “fewer than 1,000” once the company is done with its restructuring. As part of its cost-cutting plans, CEO Nicholas Woodman is also foregoing his 2018 salary, and will only receive a token $1 for his services this year. The company expects to save around $80 million from its cost-cutting exercise, although, there will be an additional one-time expense of between $23 to $33 million, mostly on account of severance and related costs. The company, however, says that it plans to continue providing after-sales support for the drones it has sold up until now. 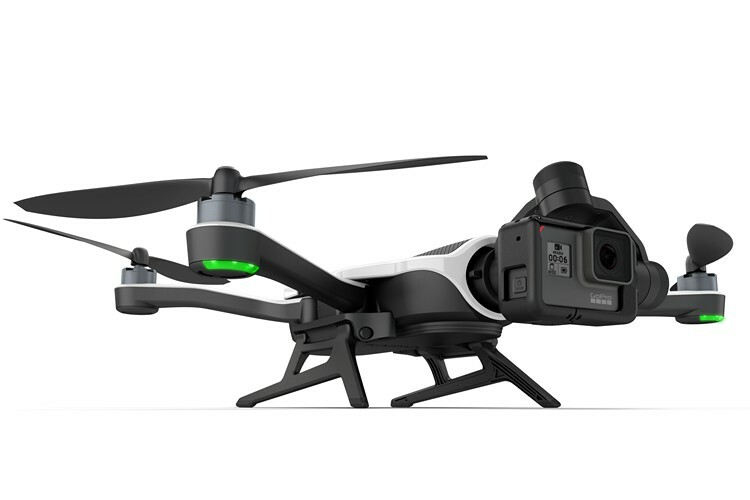 It’s interesting that GoPro is exiting the drone business even though Karma is reportedly one of the best-selling products in its segment, competing with the DJI Mavic Pro. The company says that the restrictive regulatory practices in the EU and the USA is one of the reasons for its exit from the market. The fact that the market is becoming insanely competitive with the entry of an increasing number of Chinese vendors with super-affordable devices certainly hasn’t done anything to help GoPro’s drone ambitions either.